The New World. 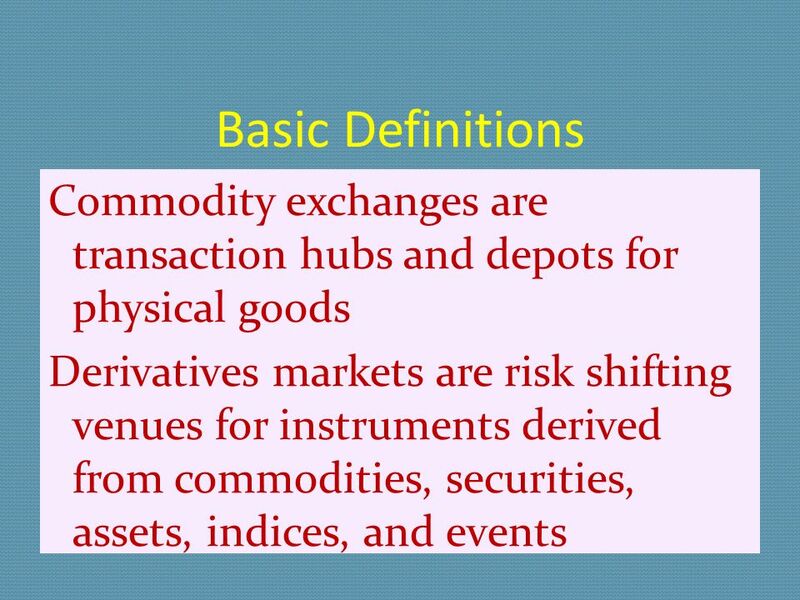 Basic Definitions Commodity exchanges are transaction hubs and depots for physical goods Derivatives markets are risk shifting venues for. 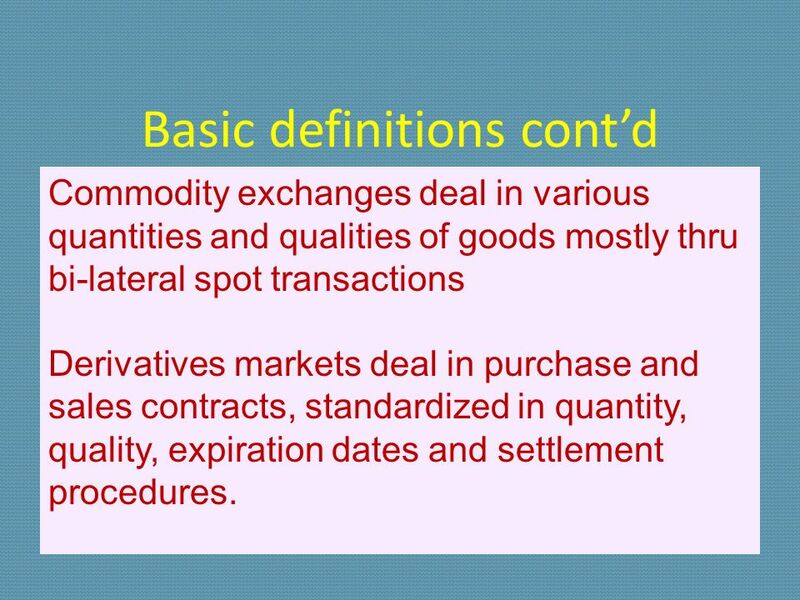 3 Basic definitions contd Commodity exchanges deal in various quantities and qualities of goods mostly thru bi-lateral spot transactions Derivatives markets deal in purchase and sales contracts, standardized in quantity, quality, expiration dates and settlement procedures. 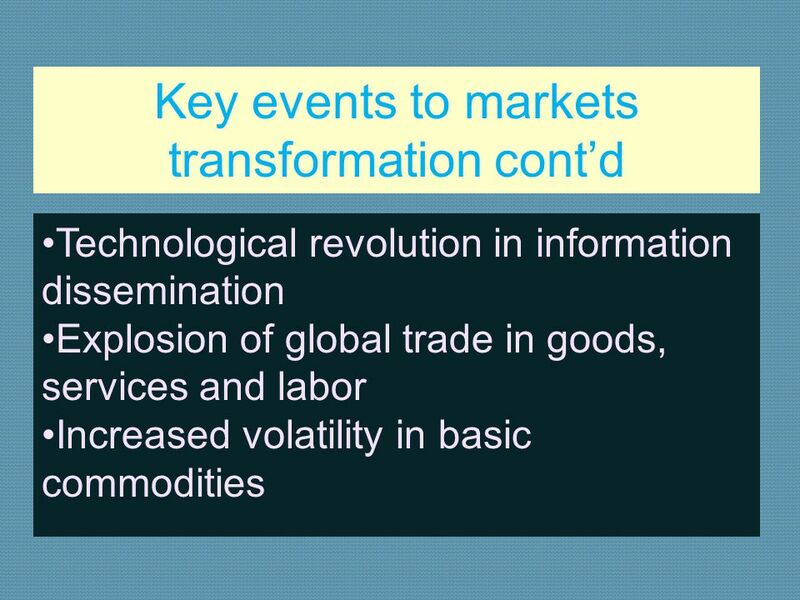 Download ppt "The New World. 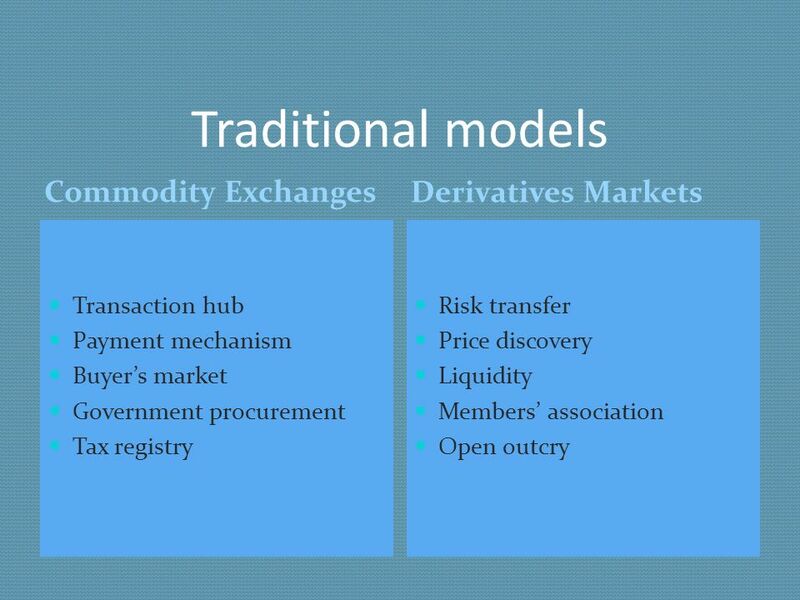 Basic Definitions Commodity exchanges are transaction hubs and depots for physical goods Derivatives markets are risk shifting venues for." 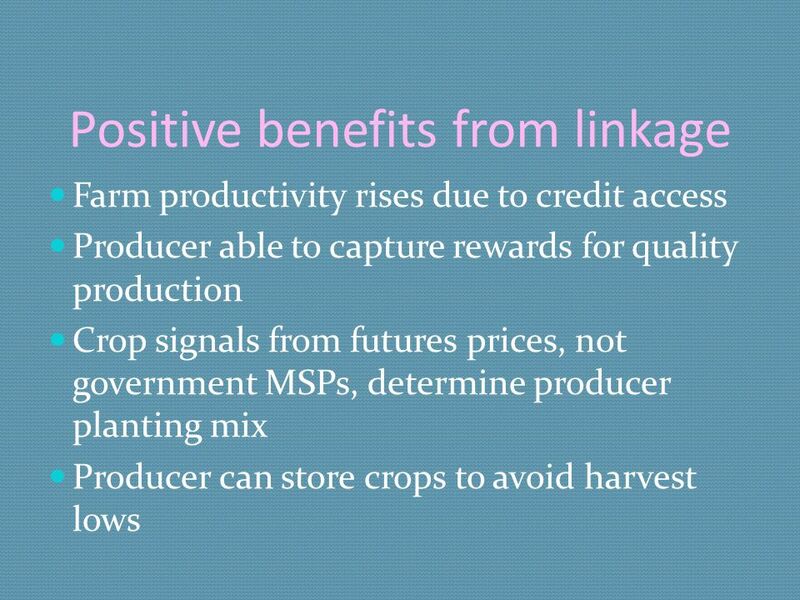 1 Establishing Efficient Marketplaces - lessons learned Presentation by: Kjell Asserlind APEx Annual Conference Cartagena, October. Restoring Financial Stability Towards More Proactive Regulation World Islamic Banking Conference Mahnaz Bahrami Dec.2009 Bahrain Central Bank of The Islamic. 1 CHAPTER TWENTY-FIVE FUTURES. 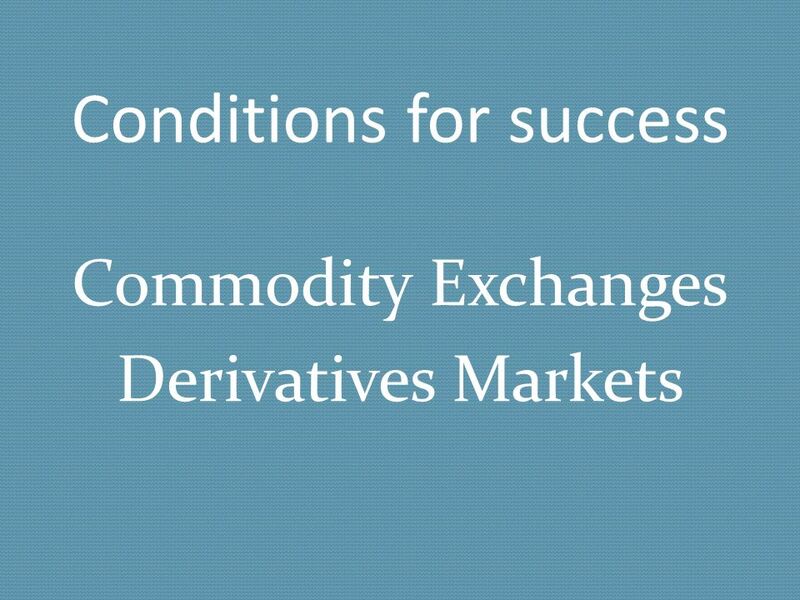 2 FUTURES CONTRACTS WHAT ARE FUTURES? 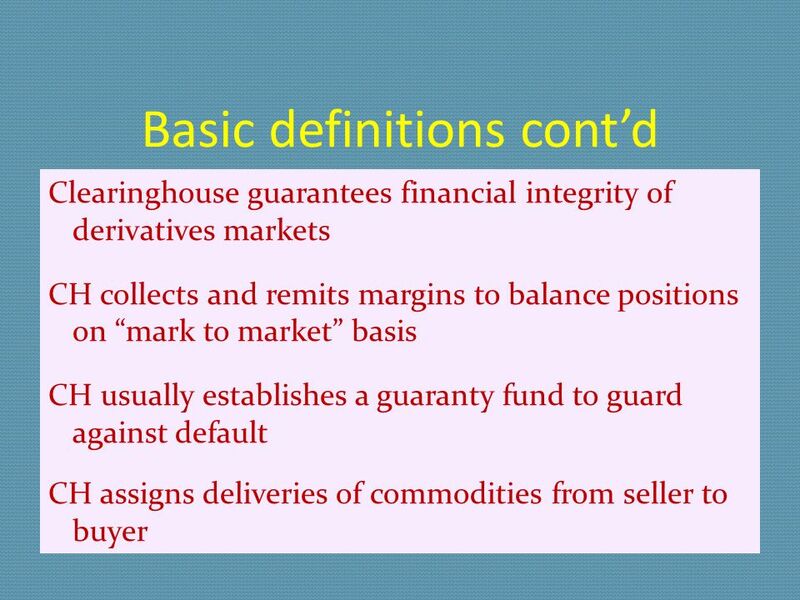 –Definition: an agreement between two investors under which the seller promises to. 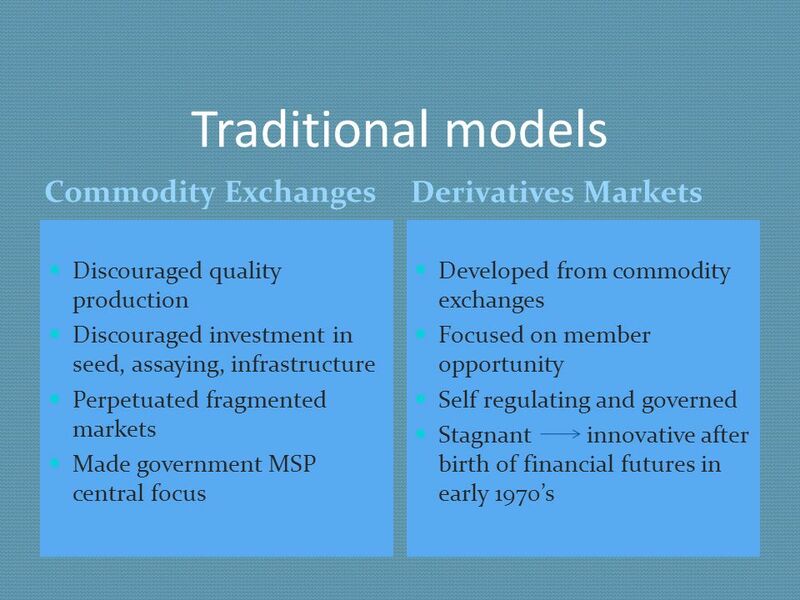 1 Futures Futures Markets Futures and Forward Trading Mechanism Speculation versus Hedging Futures Pricing Foreign Exchange, stock index, and Interest. 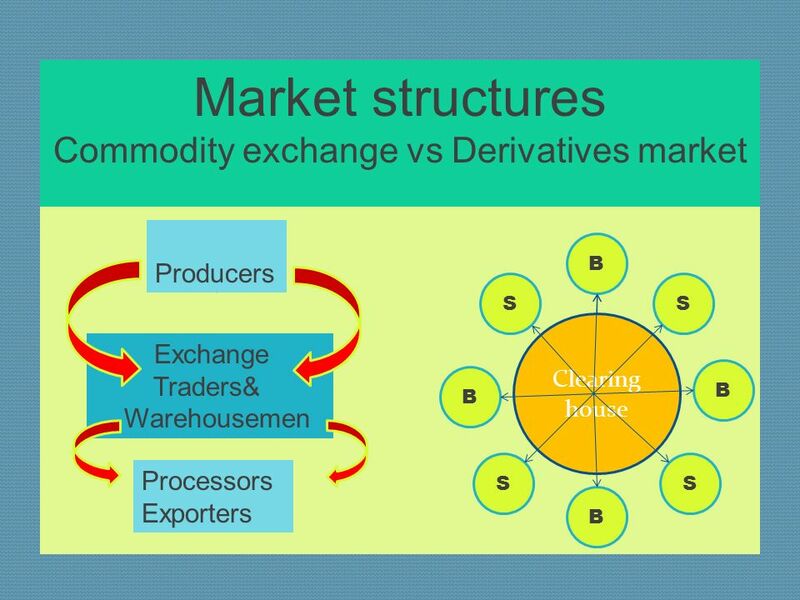 Dale R. DeBoer University of Colorado, Colorado Springs An Introduction to International Economics Chapter 11: The Foreign Exchange Market and Exchange. 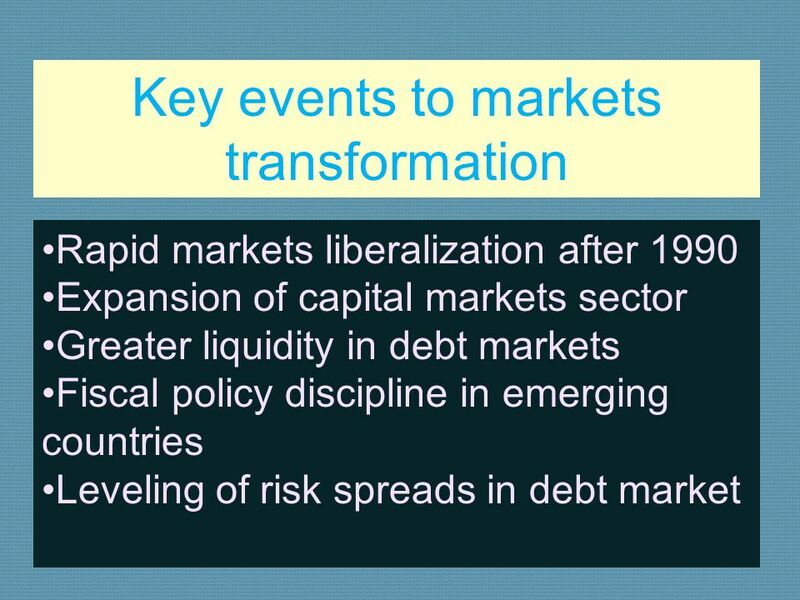 Regulating Shadow Banking: Challenges And Solutions Marcus Stanley Policy Director Americans for Financial Reform. 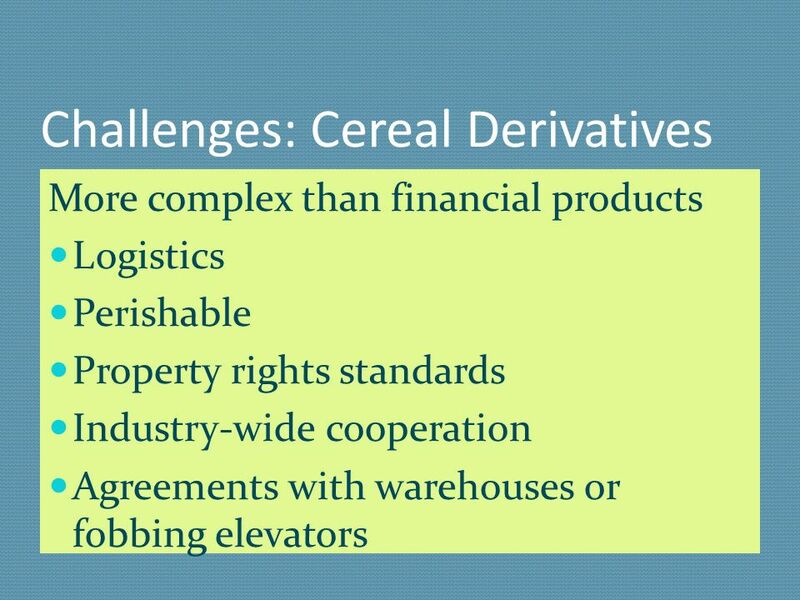 Structured Finance through Collateral Management P V Ananthakrishnan Executive Vice President & Head, Commodity Business. 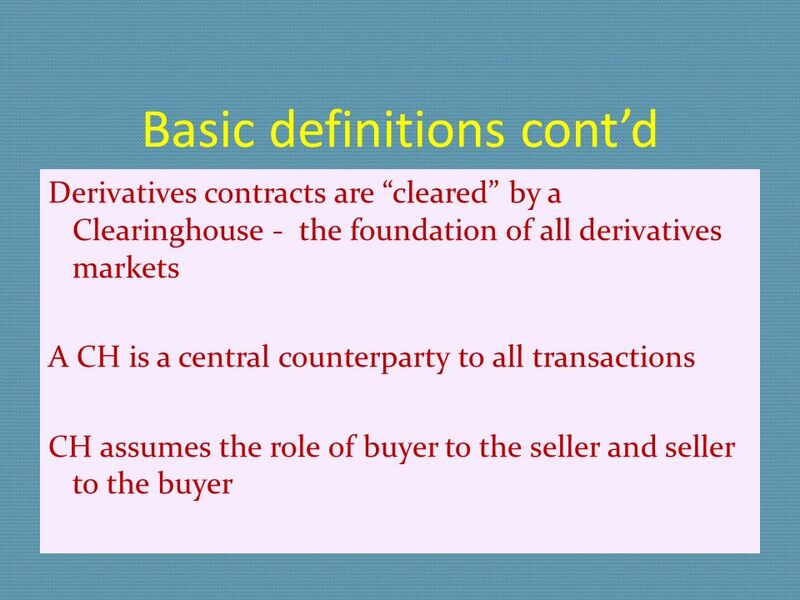 ©2009, The McGraw-Hill Companies, All Rights Reserved 8-1 McGraw-Hill/Irwin Chapter Ten Derivative Securities Markets. 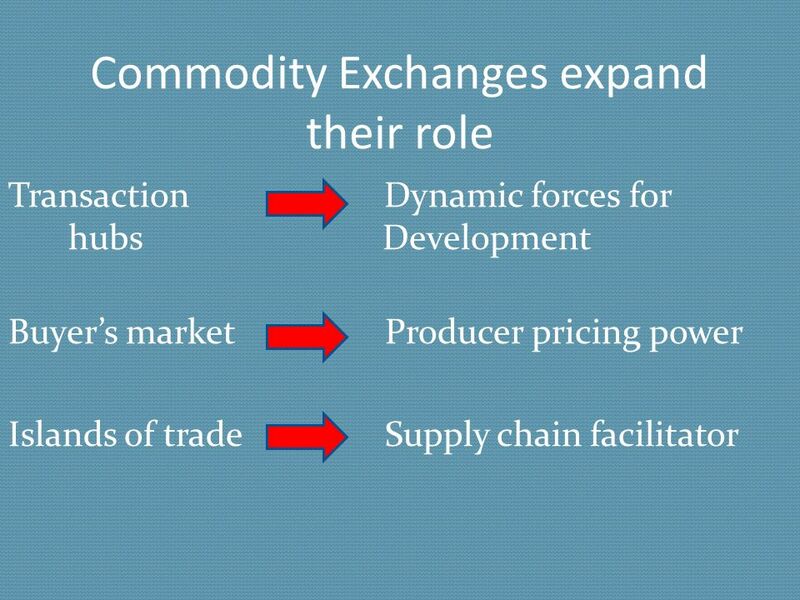 CERC Hearing on Power Exchange Presentation by NCDEX 19 December, 2006. Chapter 20 Futures. 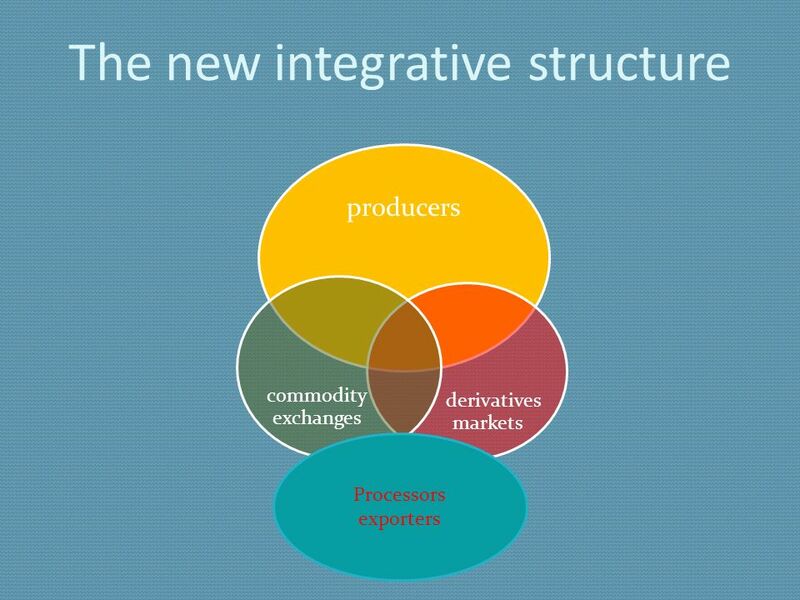  Describe the structure of futures markets. 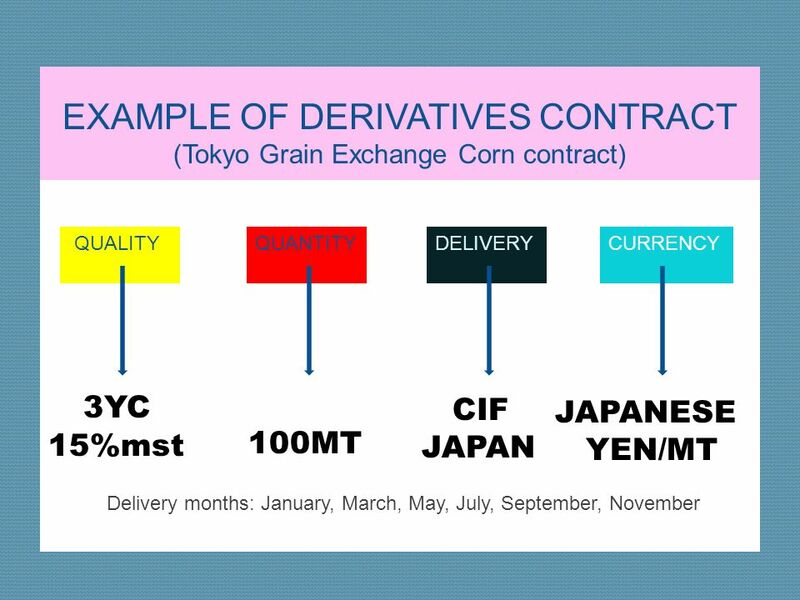  Outline how futures work and what types of investors participate in futures markets. 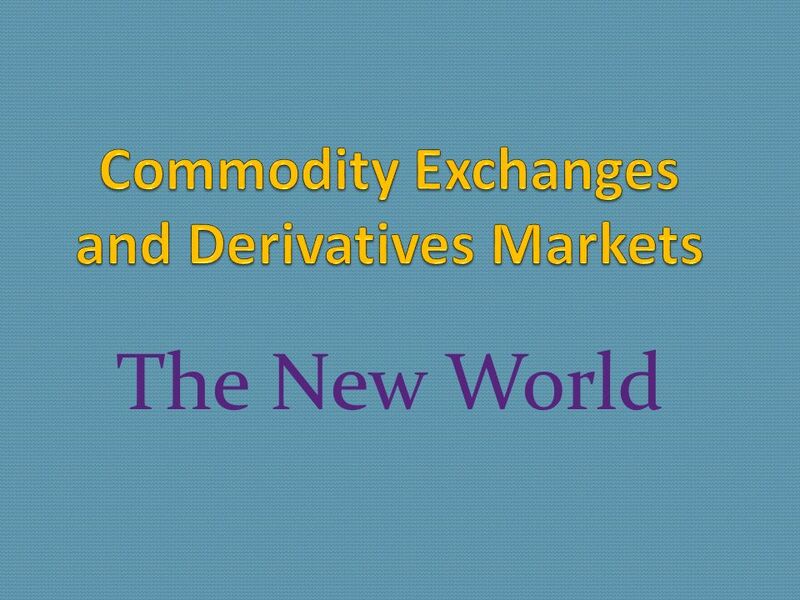 Foreign Exchange Chapter 11 Copyright © 2009 South-Western, a division of Cengage Learning. All rights reserved. 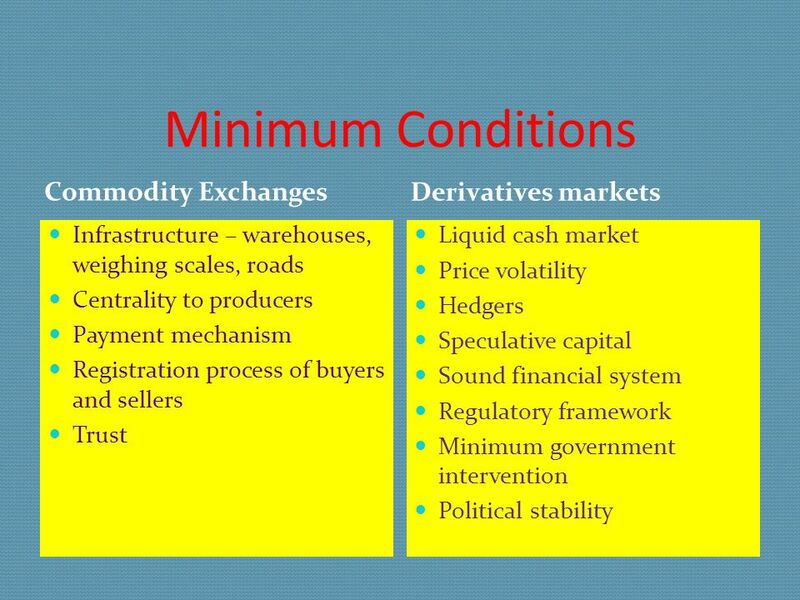 1 1 Ch22&23 – MBA 567 Futures Futures Markets Futures and Forward Trading Mechanism Speculation versus Hedging Futures Pricing Foreign Exchange, stock. 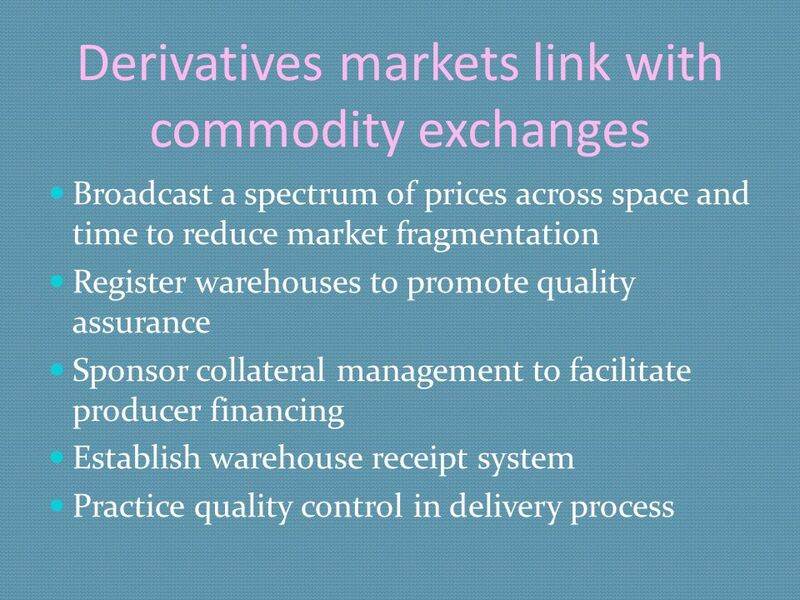 Derivatives Markets The 600 Trillion Dollar Market. 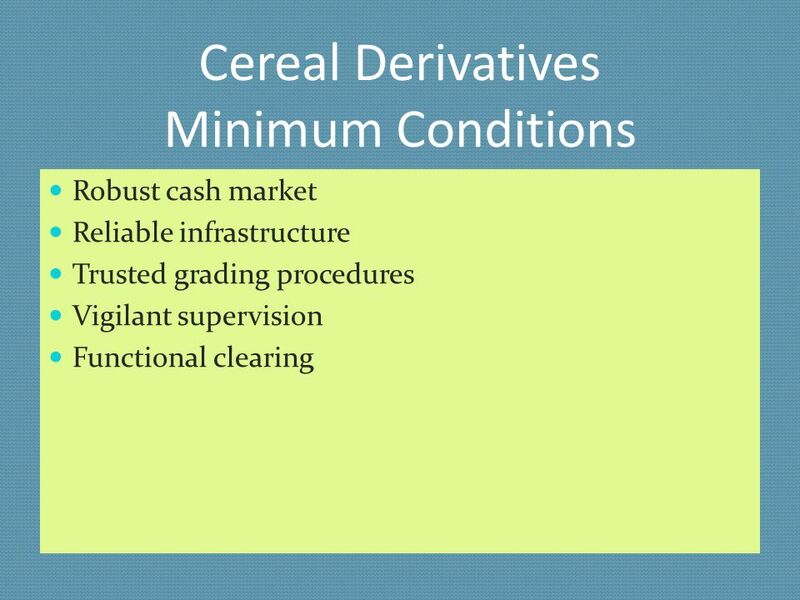 © The McGraw-Hill Companies, Inc., 2008 McGraw-Hill/Irwin Chapter 9 Derivatives: Futures, Options, and Swaps.